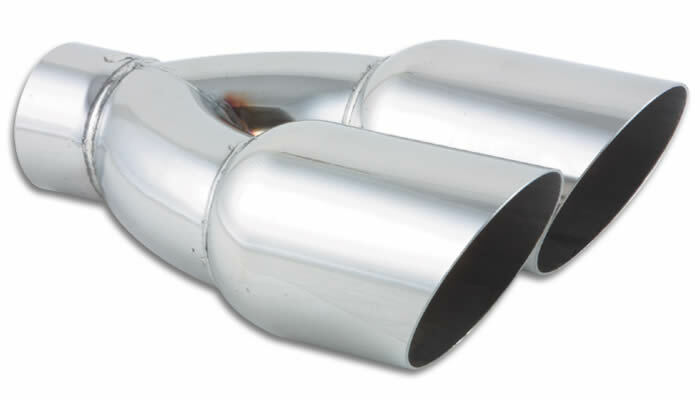 Vibrant Performance Dual Outlet; weld-on Exhaust Tips are manufactured from 304 Stainless Steel for optimum corrosion resistance. They are available with either dual round or dual oval outlets and a variety of different outlet edge profiles. All Vibrant Performance dual outlet tips are 10" long and are offered with inlet diameters ranging from 2.25" to 2.5".